This is a third post in a series on expert MT systems developers. Iconic fits my definition of expert much more closely (as does tayou) as they do-it-for-you rather than give you a technology platform to do-it-yourself. (DIY does not work well for those who do not really know what they are doing.) They bring deep expertise to bear on the very specific translation problem that you bring to them, and may create a unique MT solution for each customer. In the case of Iconic, the components used to build an MT solution, may also vary from customer to customer, as they assemble sub-components to address unique customer problems, which can vary by content, language and quality expectation. In general, the interaction with an expert is going to much more consultative and customer specific and less off-the-shelf. As MT is an evolving technology, it is especially useful for an expert developer to have close ties with an academic institution that is engaged in ongoing research in MT, and related technology like machine learning and artificial intelligence. This allows them to continue to enhance the technology and most expert developers will have this kind of a relationship in place. 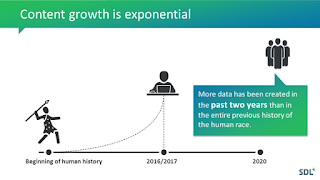 This is especially critical at this juncture, as there is a lot of leverage able work being done in the machine intelligence and neural network based learning field. This post developed from a conversation with John Tinsley. Most of the emphasis in the post below is mine. The concept and technology behind Iconic originated from a large scale research and development project at Dublin City University (DCU). 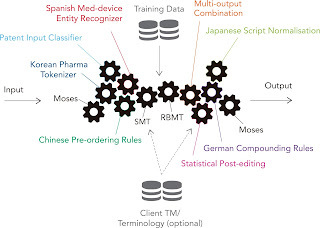 The state-of-the-art MT technology developed by a number of MT PhDs, who are still with the company today, was adapted to meet the translation requirements at the European Patent Office. On the back of this, the company spun-out of the university and our first commercial MT engine, for English to Portuguese patent translation, went into production in July 2010. We haven’t looked back since. Our original focus was exclusively on patent translation and we worked with a number of LSPs and information providers who specialised in this field. We’ve since evolved into a turnkey machine translation software and solutions provider that specializes in custom solutions tailored with subject matter expertise for specific industry sectors and content types. These are areas where our sophisticated MT technology has significant value to add over off-the-shelf solutions. There are two established paradigms of MT: rule based, and statistical (though Neural MT is clearly on the horizon, more on that later). Statistical MT is by far the predominant approach, and extensions to this include the incorporation of rules or linguistic information which are often referred to as “hybrid” MT. Despite this, there is no single approach or configuration that works best across all language pairs, content types, and writing styles. Our approach, from a technological perspective, tries to address the fact that there’s no “one-size-fits-all” machine translation solution. The best approach completely depends on the job at hand. 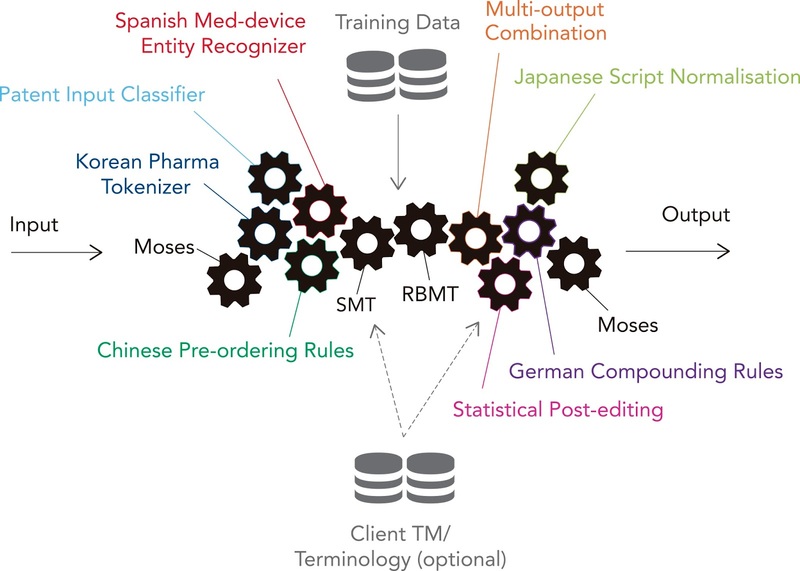 We have developed an Ensemble ArchitectureTM which combines 100’s of processes across different paradigms that can be combined to produce the best translation for a given task. Some of these processes are specific to a particular language, to a certain content type (e.g. legal, financial), or to a particular writing style (e.g. patents, contracts, annual reports). Depending on a given input document or client project, our platform takes an on-the-fly decision as to the most appropriate combination of processes to use. In fact, in many cases, different sections of a single document can be translated using completely different processes. The goal is to use the most effective set of tools at our disposal for any given task, so that our end users get the best possible translation. From a client customisation perspective, this model is super extensible. It allows us to develop and add new processes to the ensemble architecture as needed on a case by case basis, making it a continuously evolving architecture. One of the biggest challenges in maintaining such a complex technology is the need for deep expertise in the underlying MT methodologies. This places a lot of importance on the team, which is something we’ve put a lot of resources into building at Iconic. Having a mix of experts in the science underpinning MT technology, and language experts, combined with software development skill in the team allows us to transfer the subject matter expertise in our team, directly into our clients’ applications. This is crucial when it comes to ongoing engine development and customisation. When adding data to an engine, quality can hit a ceiling quite quickly. End users will highlight critical issues in the output that cannot be resolved by simply “retraining” and adding more data. Even if we have valuable post-edited data from translators, it is still often not enough. Having the expertise in the team, in a) knowing where to look “under the hood” to identify the cause of an issue, and b) having the skill to implement a fix, is crucial to success. In fact, we recently ran a video series introducing some of the members of our team which you can watch here. Iconic’s first product was IPTranslator, a suite of MT engines adapted for patent and intellectual property related content. Patents are challenging enough to read in your native language, never mind trying to develop MT software to handle them. The complexity of the documents was one of the key motivators in developing our Ensemble Architecture - we needed the capability for the MT engine to be able to dynamically adapt to the content domain, be it a chemical, engineering, or electronic patents. Similarly, it needs to be able to treat the different patent sections in different ways, e.g. the stunted telegraphic style of the title vs. the long-winded “legalese” of the claims. Since then, this architecture has grown to inherently cover other areas, and verticals that pose similar technological challenges to MT, such aseDiscovery, the financial and life sciences industries, and, in particular, user-generated content in the hospitality and e-commerce industries. From the language perspective, like most approaches to MT, our technology is language independent and can be applied to any combination of languages. However, given the extensibility and the ability to combine domain-adapted approaches with language-specific processes, we’ve been able to tackle harder projects had have great success with traditionally more challenging languages such as Chinese and German, to name just two. These are areas we’ve chosen to focus on because we have significant value to add with our technology and expertise. MT has been rolled out generally with relative success in industries such as IT and for languages like French, which tend to lend themselves better to language technology in general. But when it comes to more difficult languages and content types, a smarter approach is needed and that’s often where we come into play. We are the MT partner of choice for some of the world’s largest translation companies, information providers, and government and enterprise organisations, each of whom can have very different requirements from an MT technology solution. We have worked very closely with Welocalize over a number of years, in particular Park IP, to bring post-edited MT into their workflow for patent translation across a number of languages. Similarly, we have worked extensively with RWS in the same field. Over the past 18 months, in collaboration with the ADAPT research centre, we have been providing English to Irish MT to the Irish government, also for post editing. To the best of our knowledge, is the first successful commercial deployment of MT for this language combination. Outside of traditional language services use cases, Iconic’s MT is used in a number of areas where translation is just one part of a much bigger picture. For instance, over the course of the last year we have been working on large scale digitization projects, taking millions of documents of archive content stretching back over the past 150 years (in various challenging formats as you can imagine! ), converting them, cleaning them, machine translating them, and then making the available in multilingual searchable databases. Billions of words of historical analog content have passed through our engines and are now accessible to a global audience. In an increasing number of these cases, MT is producing quality output that is fit for purpose as is without the need for post editing and this trend is only going to continue as the volume of content being produced grows further. In the same way that there’s no single “best” approach to MT, it is also not an “out of the box” type of software. Yes, there are use cases and instances where it can work in this way, but they are the arguably the exception rather than the rule. It can work very well for anecdotal or spot usage, but when it comes to complex real-world problems, a deeper level of expertise and experience is required. This has probably been distorted by (fantastic, ground-breaking) tools like Moses which have done a great job of lowering the bar to entry to machine translation from a software development perspective. But doing things in this way will only get you so far and, ultimately, without understanding the underlying complexities of the software, of the languages being translated, and of how to compliment and extend upon Moses with additional natural language processing (NLP) techniques, performance will plateau. It’s possible to provide interfaces for users to upload their own training data, terms, post-editing rules, and so on, which has been done extensively and often to good effect. Ultimately, however, that’s really over-simplifying the technology and basically taking it out of expert hands. Doing that, as a software provider you have no recourse when someone misuses your technology and it doesn’t meet their needs. To overcome this, we provide MT as a fully managed cloud-service with a different take on the standard business model. We call this model Software with a Service (as opposed to Software as a Service) and what it does is combine technology automation (the software) with specialized expert labor (the service) to deliver a complete solution to a business problem. It’s as much about expert people-powered customer service as it is about code-powered efficiency. The result is awesome customer experience that can only be delivered with a human touch. MT engine development and maintenance is costed on a professional services basis as required, which serves the purpose of ruling out unnecessary “retraining” when it is not going to bring any value. Usage of the engines, cloud-based or otherwise, is costed as normal based on usage either on a subscription basis or pay-as-you-go. This can change to standard license model when the software needs to be installed on local servers, which is typically done for security reasons. Buyers of MT are smart, and they are increasingly aware that assessing MT based on output samples or bake-offs (comparisons) between providers doesn’t make sense. MT is never going to be as good as it can be straight out-of-the-box. It takes time, and requires expert guidance to develop, incorporate, and maintain. This is why we’ve had a good response to this model - it just makes sense. When should MT be used in the first place? As I mentioned, MT is not a one-size-fits-all solution and, in fact, in some cases it’s not suitable at all. That’s why the first step in all of our engagements is to assess whether it’s feasible to use MT in the first place. Never mind other business models; the worst business model is accepting projects that are destined to fail from the outset! The industry has been plagued by false dawns and lack of expectation management for a long time, so MT providers need to become more transparent about when their solutions should and should not be used. How do we assess feasibility? At Iconic, we look at 8 factors that can influence things in different ways when it comes to MT. In order for us to have a clear picture in our mind as to the best way to proceed in each case, we need to understand these factors, interpret them, and then apply our experiential-driven expertise in order to communicate to the customer how they impact things. We do this even if it means turning down a project because it wasn’t suitable. We discussed these factors in a webinar recently and we’re currently running a blog series on our website where we’re diving even deeper on each factor. The Next Frontier? The Neural Frontier? So, where do we go from here? For all MT providers, there’s no hiding from the fact that neural MT is not just a fad and is most likely here to stay, and Iconic is no exception. That being said, there has been a lot of talk and hype about it, but relatively little action outside of academia (yet), in part due to the fact there are a still a few hurdles to overcome before it becomes a practicable commercial solution. We pride ourselves on our deep MT expertise and our ability to develop complex language solutions, so we are very keen and excited to begin working with neural MT. To that end, we’ve been working on an exciting project with ADAPT research centre in Dublin, who have been pioneers in MT research over the last 15 years. We will be in a position to reveal more later this year, so stay tuned! To contact Iconic this link provides several alternatives.